Wrap it up and tie it with a bow. That’s really the simplest part of the gift giving equation. The bigger challenge is finding the perfect gift, the one thing sure to put a smile on the face of even the most difficult to please, particularly the person who already has everything. We submit that there is something here even that person will love. 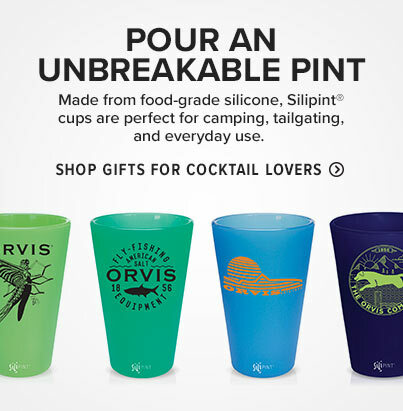 Orvis invites you inside to browse a varied collection of beautiful objects sourced at home and abroad. Utilitarian or fanciful, to grant a wish or to simply surprise: we want to help you choose the perfect gifts for the people on your list. We have lots of great ideas. Browse elegant accessories and gifts for women; she will love a thoughtfully chosen handbag or scarf (and she will tell you any self-respecting woman can never have too many). But if you are too gun-shy to choose something personal, we suggest beautiful textiles for the home: you can’t miss with a washable blanket or throw. And a rare and beautiful (or even useful) object for the kitchen is always a welcome gift. For the gentlemen on your list, shop our collection of gifts for men, including men’s watches and chronographs, manufactured to meet our exacting standards. We pressed vintage motifs into service after a long retirement (they were too striking to be shelved and still had stories to tell), and we found sleek designs to suit modern sensibilities. Choose an elegant dress watch or a rugged field chronograph made to withstand the elements. 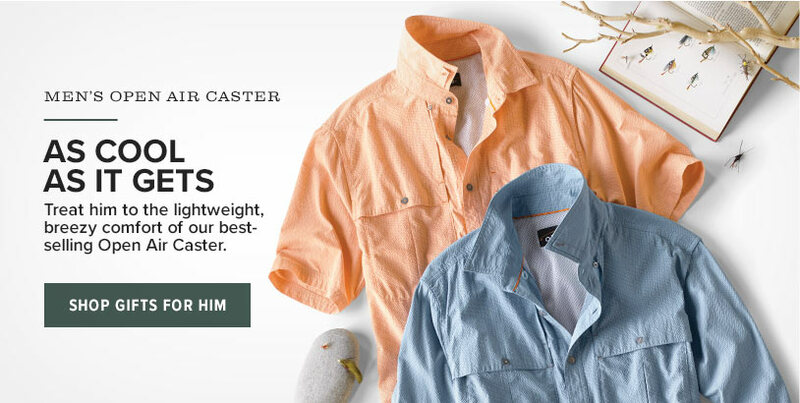 Your sportsman will appreciate using it in the field, as much as he appreciates the Orvis name, long associated with fly fishing, fine hunting and outdoor gear, and menswear. These collections offer some of our best gifts for men, and you can find them here in our Gift Shop, too. If you are looking for something unique that is made to last a lifetime, consider an elegant Colonel Littleton leather briefcase made in Lynnfield, Tennessee. Still stumped? We saved the best for last. Orvis offers planned adventure trips to destinations as far-reaching as your own imagination, days filled with exploration and nights with indulgent luxury. Sail aboard beautifully appointed yachts or unwind in exotic island resorts. See nature like you’ve never seen it before and return home fortified and restored. We don’t have a box big enough to hold a lifetime of memories, but we’re fairly certain an Orvis travel trip is a gift that they’ll never forget.